This entry was posted in news and tagged awards engines MINI Cooper on December 10, 2014 by James Day. MINI has won another award for the new 1.5 liter turbocharged engine in the third-generation MINI Cooper. Ward’s has chosen this engine as one if its 10 Best Engines for 2015. To be eligible for the Ward’s 10 Best Engines competition, an engine or propulsion system must be all-new or significantly re-engineered and available in the U.S. market with a base price not exceeding $60,000. This year’s pool of 37 nominees includes last year’s 10 winners and 27 new entries. Eight WardsAuto editors drove the vehicles in October and November in their routine daily commutes around metro Detroit. Editors scored each engine based on power, torque, technology, observed fuel economy, relative competitiveness and noise, vibration and harshness characteristics. Mini has won two Ward’s 10 Best Engines trophies over the past 21 years for boosted high-output 4-cyl. engines, but this year the brand returns with an authoritative interpretation of the 3-cyl., another powertrain destined to achieve high volumes in the U.S. as efficiency demands rise. Mini’s 1.5L churns out 134 hp and makes the all-new Cooper highly entertaining, while enabling every WardsAuto editor to achieve at least 30 mpg (7.8 L/100 km) in spirited driving. One editor said he couldn’t imagine buying a Mini with any other engine. There was a time when people bought underpowered 3-cyl. engines out of economic necessity. Mini turns that legacy on its ear by demonstrating a base engine can totally sell a vehicle. With a starting price under $20,000, the Mini 3-cyl. is the smart choice. Read the press release Variety Distinguishes 2015 Ward’s 10 Best Engines. This entry was posted in news and tagged CVT legal MINI Cooper on July 17, 2014 by James Day. If you are a MINI owner waiting for compensation from several class action lawsuits, you’ll be waiting a little longer. The cases involved are Aarons v. BMW of North America LLC, Bourne-Miller v. BMW of North America LLC, and Bonomo v. BMW of North America LLC. They involve owners of 2002-2006 MINI Cooper Hardtops and 2005-2008 MINI Cooper Convertibles with the automatic Continuously Variable Transmission (CVT). A prior objection to the terms of the settlement was lost before the judgement was made. However, it contained no new objection that wasn’t already addressed and the settlement is expected to go forward. According to the settlement, MINI owners who joined the class action lawsuit and who had their CVT repaired or replaced by BMW or MINI will get a 3 year/500,000 mile parts and labor warranty from the date/mileage of the repair or replacement. 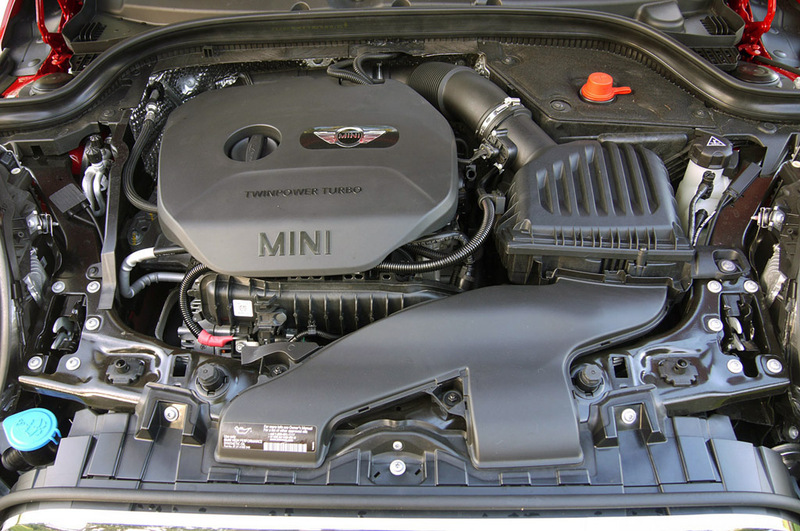 Those who who sold their MINI for $4,000 or less without repairing the CVT could receive $1,000 to $2,000 in compensation. 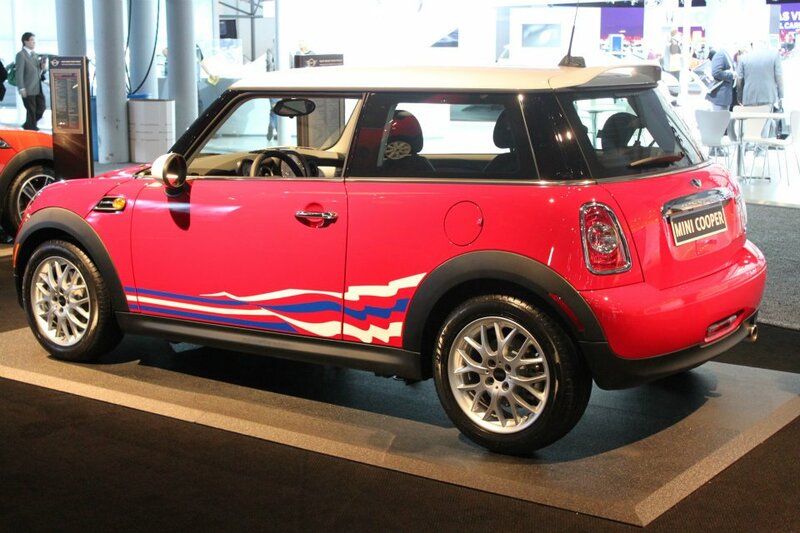 This entry was posted in news special editions and tagged MINI Cooper MINI USA on April 11, 2012 by James Day. In the press release before the New York International Auto Show, MINI announced a US-only special edition model to commemorate the ten years MINI has been in the United States. It will come as a Cooper only. The Chili Red version on display features chrome driving lamps, 16″ R90 Cross Spoke Alloy wheels, larger rear spoiler, striped side graphics, and special “MINI 10 Years in America” grille badge and rear badge. Read the entire press release MINI at the New York International Auto Show 2012. This entry was posted in magazines and tagged MINI Cooper MINI Cooper S on November 22, 2011 by James Day. The December 2011 issue of Grassroots Motorsports magazine is out now and it contains a complete MINI Cooper buyer’s guide. The article begins with a brief history of BMW’s acquisition of Mini to create the MINI brand. It covers the early years of the MINI in the US. One table lists the year-by-year changes from 2002 to 2006. Hunsucker recommends examining the engine mounts on any used MINI. “The passenger-side mounts on all years go bad. The later ones, anything mid-’04 and on, has basically a metal can, and the fluid will leak out—that’s how you tell if it’s bad. The earlier ones are rubber but still fluid-filled. They get short as they age and that tears the other mounts.” Polyurethane replacements are available. This entry was posted in facts and figures news and tagged FIAT 500 MINI Cooper on January 19, 2011 by James Day. As the FIAT 500 arrives in the United States soon, some comparisons to the MINI Cooper have been made. For our comparison, we chose the two models closest in performance: the MINI Cooper versus the FIAT 500 Sport. FIAT does have a high-performance model, the FIAT 500 Abarth, but that version will not be coming to the US until 2012 or 2013. Similarities between MINI and FIAT are plenty. Both cars are modern updates to their classic versions which had long, relatively unchanged production runs. The original MINI Cooper from 2001 and the current FIAT 500 were both designed by Frank Stephenson. Both brands entered the US market with a single model. And the “Car of the Year” award was won by both. 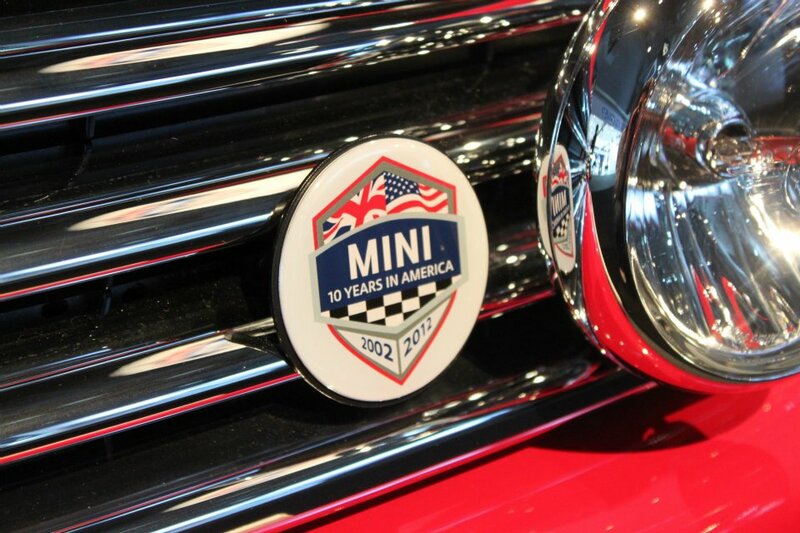 One interesting note: MINI has just over 100 dealerships in the US after nine years. FIAT plans to open 130 dealerships at launch. This entry was posted in news and tagged charity MINI Cooper on December 14, 2010 by James Day. Are you or a friend or family member the ultimate literary fan? Then AutoTrader.com has posted for sale the ultimate gift for you or that special someone: a 2010 Mini Cooper SD with a dashboard signed by 18 Penguin authors, including Garrison Keillor of Lake Wobegon fame, Pulitzer Prize winning authors William Kennedy and Geraldine Brooks as well as New York Times bestselling authors Michael Pollan, Sue Monk Kidd, Jan Karon, Rosanne Cash and many more! The price reflects the unique nature of the vehicle, its excellent condition and an additional bonus: the car comes with the top 75 titles published by Penguin Books over the past 75 years, a collection of books worth about $1,200. Proceeds from the sale of the car will be donated to the New York Public Library. The vehicle comes with AM/FM/CD, MP3 player jack, air conditioning, automatic transmission, black cloth seats, orange and black exterior paint (freshly painted) and, of course, those 18 autographs in silver pen along the dashboard, doors and steering wheel. The car has about 15,750 miles on it and is currently located in New York City. This entry was posted in collectibles and tagged MINI Cooper MINI One press kits on November 19, 2010 by James Day. Today we have one of the most collectible items in the Library of Motoring collection. Shown is one of the earliest MINI press kits in English. The MINI One MINI Cooper Press Information (2001) is a glossy folder containing MINI information, a book, color photographs, and a CD. Open the press kit folder left and right (see photo below left) to reveal two pockets. The left side holds the stapled, 30 page press information packet. The cover date is July 2001. The text content includes: MINI; Exterior; Interior; Safety; Drivetrain; Suspension and Steering; Electrics and Electronics; Sales, Package and Pricing; Options; Manufacturing; The MINI Brand; Data Sheets; External and Internal Dimensions; and Performance and Torque Diagrams. The right side holds 16 photographs: six of an Indi Blue MINI One, nine of a Chili Red and White MINI Cooper, and one of a Pure Silver MINI Cooper with accessories. All of the photos are dated 06/01. Lift up the middle flap with the MINI logo (see photo below right) to reveal a CD attached to the inside of the flap and a hardcover book set into the middle of the folder. The CD contains a 43 page PDF file of the information in the paper press packet and lots of color images. Finally, the press kit includes a limited edition (2,500 copies) commemorative book titled MINI Cooper: The Modern Interpretation of an Immortal Legend. The small book measures only about 5.5″ wide by 5″ high, but contains 80 full-color, glossy pages. Attached inside the book’s back cover is yet another CD, this one holds 16 press photos of an Indi Blue and White MINI Cooper and one image of the MINI logo, all in both high resolution and low resolution. Download the MINI One MINI Cooper Press Information (2001) file from the CD on the flap. 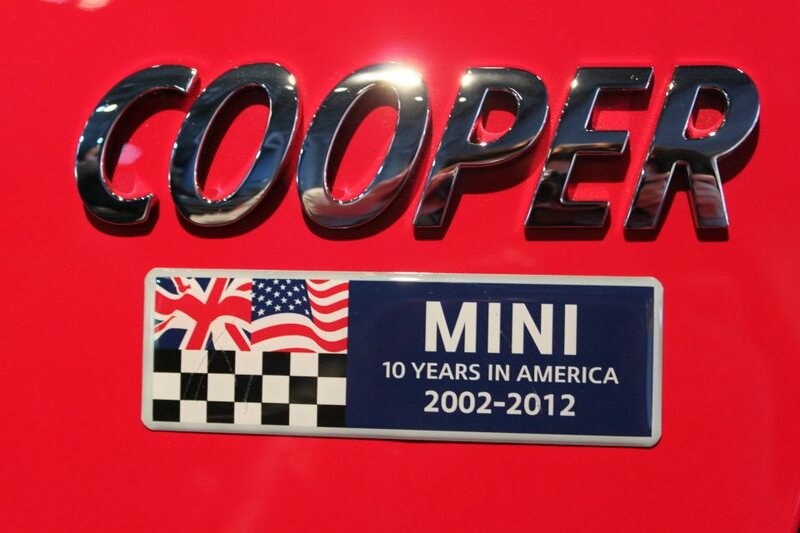 This entry was posted in brochures collectibles and tagged MINI Cooper MINI One on September 18, 2010 by James Day. Today we feature what might be the most collectible MINI brochure of all time. One of the earliest brochures from the UK is this MINI ONE. MINI COOPER. brochure from 2001. The MINI ONE. MINI COOPER. brochure features a Silk Green MINI One and a Chili Red MINI Cooper in its storyline (see pages 14-15 below, left). The photos were taken in New South Wales, Australia. Colors shown are Chili Red, Black, Liquid Yellow, British Racing Green, Cosmos Black, Indi Blue, Pure Silver, and Silk Green. Inside this section is a detachable plastic “Matchcard” (see below, right) which you can place over the color blocks to “see what your car could look like!”. The EQUIPMENT section includes the usual Exterior Features, Interior Features, Option Packages, and Safety. The MINI catalog number is 1 11 50 02 21 1 2001 GM. Printed in Germany 2001. This entry was posted in news and tagged MINI Clubman MINI Cooper reviews on April 23, 2010 by James Day. Listeners of National Public Radio (NPR) on weekends are familiar with the program “Car Talk” featuring “Click and Clack”, or Tom and Ray Magliozzi. On the program the brothers review cars and attempt to solve the car problems of callers. The 2002 MINI Cooper review is very thorough with a rating of “Awesome!” by Ray and “Pretty Good!” by Tom. As you might expect from a car developed by BMW, the driving experience in the Mini Cooper is pretty damn sporty. The car is fun to drive. The handling is exceptionally good. When you turn the Mini into corners it digs in, in the way a good-handling car does. In other words, if you make a left turn, you don’t feel yourself falling out the right passenger window. Why? Several reasons. The Mini has a low center of gravity. It’s wheels are pushed all the way out to the corners, like the original Mini (if they were pushed any further, they’d be on someone else’s car). Finally, the Mini has good, tight suspension components throughout. The 2009 MINI Cooper Clubman review consists of lists of “Pros” and “Cons” with a few photos.